1. How do I search for someone on Find People Search? 2. I found the person I'm searching for, but can I get more detailed information on this person? 3. 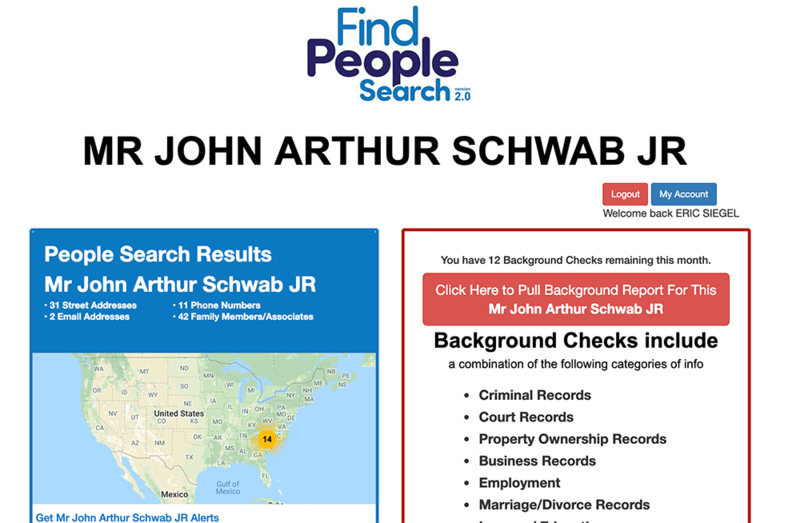 How can I get a full background check on someone I have found on Find People Search? 4. 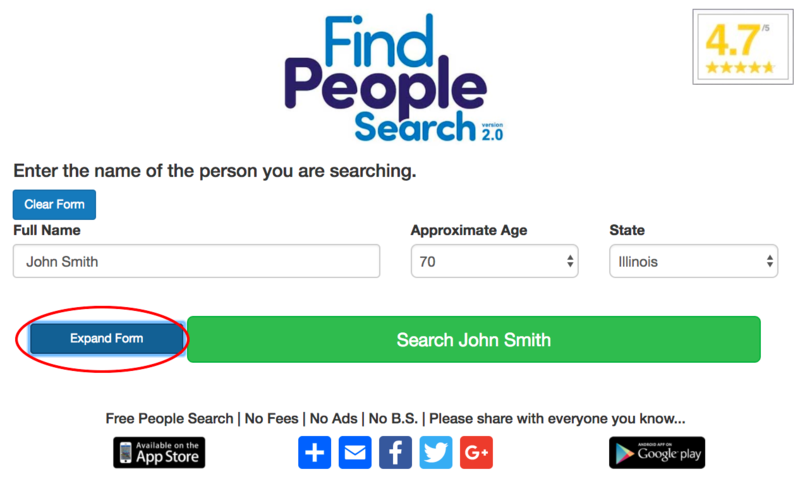 How do I become a member of Find People Search? 5. 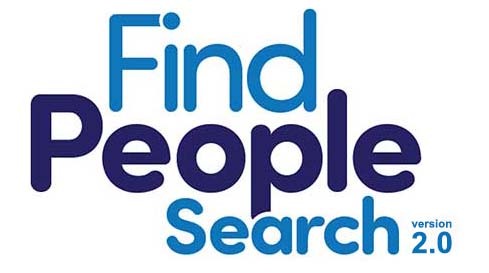 What are the benefits of becoming a member of Find People Search? 6. What type of membership plan should I purchase? 7. 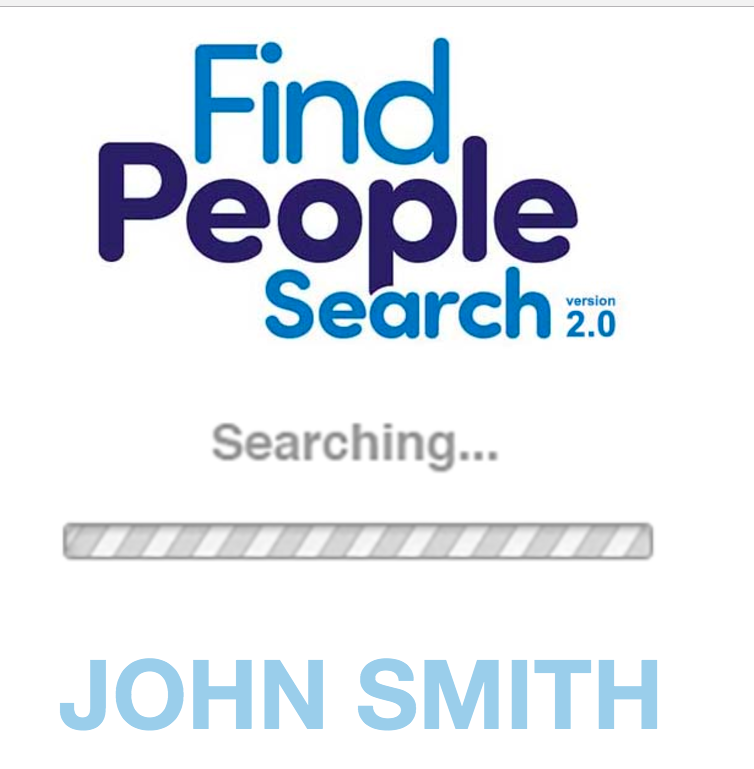 I'm a paid member of Find People Search. How can I view background checks? 8. How can I cancel my membership? 9. How can I contact customer service? 10. Does Find People Search publish Social Security Numbers in its search results? 11. Where did Find People Search get all this information on me? 12. I didn't give you permission to display my personal info on this site! 13. When I search for myself, the information shown is not accurate. Can this be changed/fixed? Yes. 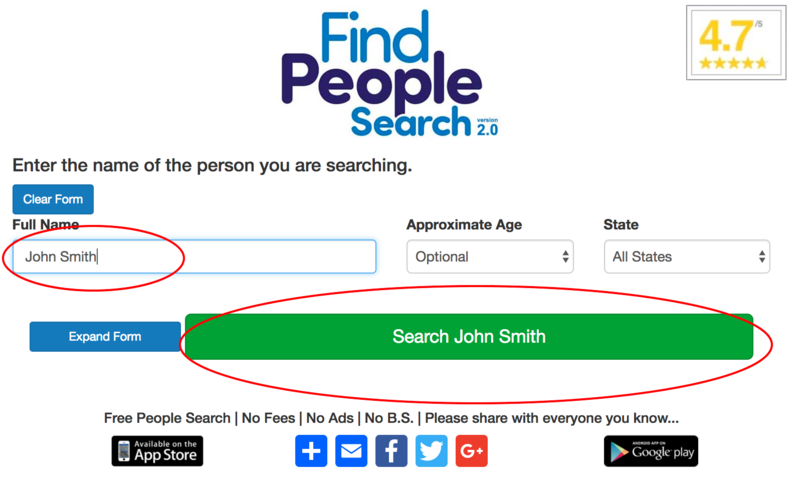 In order to view all available information for any person found during a search, you must first become a paid member of Find People Search. 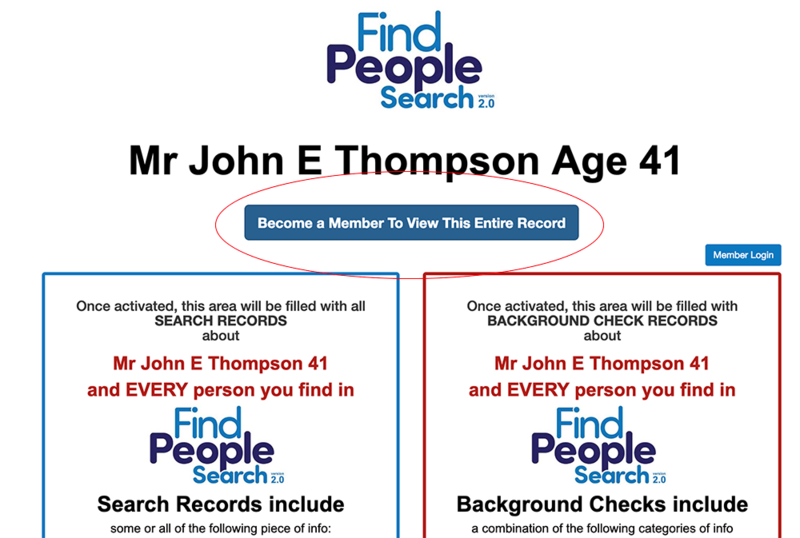 In order to view the full background check for person, you must first become a paid member of Find People Search. 4. 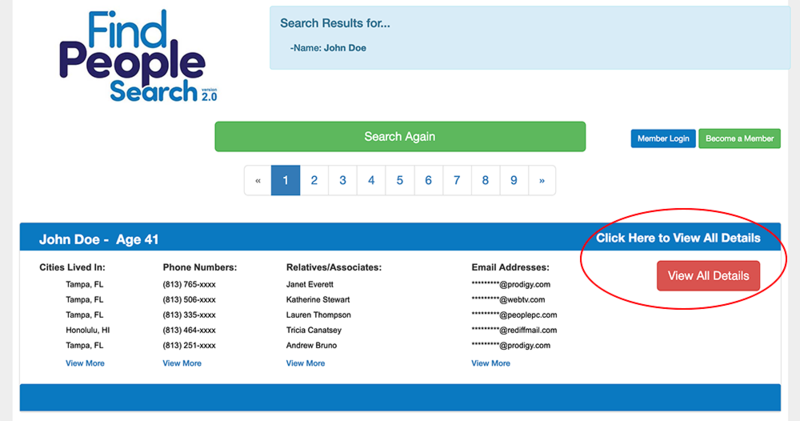 How do I become a paid member of Find People Search? There are 2 places where can join Find People Search. First, you can join directly from the search results page by clicking on the green "Become a Member" button. Secondly, from any search result you can click on the "View Details" button. Doing so will take you to directly to the record details page, where you can join if you haven't already done so. Members get access to mailing addresses, phone numbers, email addresses, relatives/friends, dates of birth, property records, marriage/divorce records, business records and more for any person found in our vast database. It depends on your needs. If you just plan on doing casual searches from time to time, the most basic plan will be sufficient. If you require a greater volume of searches and you need access to more background checks that the average person, you might want to choose one of our upper level plans. After logging into your account, click the red "My Account" button on the search results page. From the "My Account" page, you can then cancel your membership. Customer Service can be reached By Clicking Here. 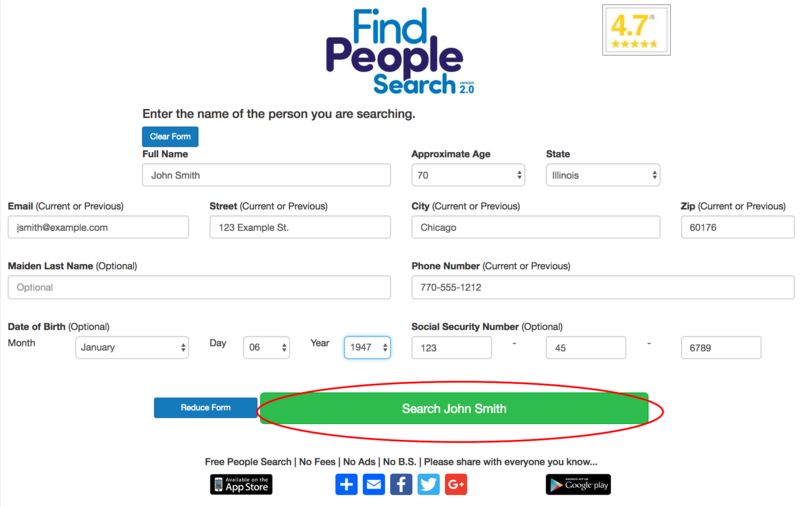 Find People Search gets all search result data from PUBLIC RECORDS, which includes any document filed by a government agency. Common sources include marriage and divorce records, criminal records, real estate deeds, lawsuit filings, liens, professional licensing records, and published phone directories. Because the information on our site is gathered from PUBLIC RECORDS, we do not need permission to display such information. 13. When I search for myself, the information shown is not correct. Can this be fixed? Unfortunately, at this time we do not have the ability to edit or change the information shown in our search results.